Hello my lovelies and welcome to my traditional yearly round up of my favorite outfit post! I was very picky this year, so you only get to see those I was really satisfied with. I must admit, sometimes I do wear some garments just because they are trendy. And sometimes the photos don't turn up too well but I have to publish them because I don't have enough time to make more content. But I am proud to say that there was an outfit post ready for you on every Monday during whole 2018! Also 2018 was so important for me. I finally got some things done that literally took me years. I finally moved on from stuff and people that were holding me back and making me feel bad about myself. I finally stood up for myself and I am no longer afraid to get into any conflict, any confrontation that awaits in my future. I finally graduated (! ), I moved out of my house, I got a new pet. And I am happy. I'm in peace. I found peace I was looking for since I can remember. And I couldn't ask for more. 2018 had plenty of challenges, but 2018 was good to me. Because I got better. I hope for 2019 to be just as good or even better to me. I got so many plans for 2019 that sometimes I literally can't sleep at night. And I hope it all turns out well. To you my lovelies I wish all the best as well. I hope you had a great year and that you're about to have even better year. Thank you for following me, thank you for reading, thank you for all your support. It means much to me! I wish you all very happy holidays and I hope you will enjoy my outfit recap! Which one is your fav? Let me know! Hello my lovelies and welcome to my brand new outfit post! It's cold outside and I'm back to indoor shooting for a while. I am enjoying the leopard print as you might have noticed. I hope you will like this simple but effective outfit idea! Do you like it my lovelies? Let me know! Vaping has gained massive popularity in the last few years. Even though it’s a relatively new concept as compared to cigarette smoking, vaping is soon taking over the smoking scene. Why are so many people switching to vaping today? 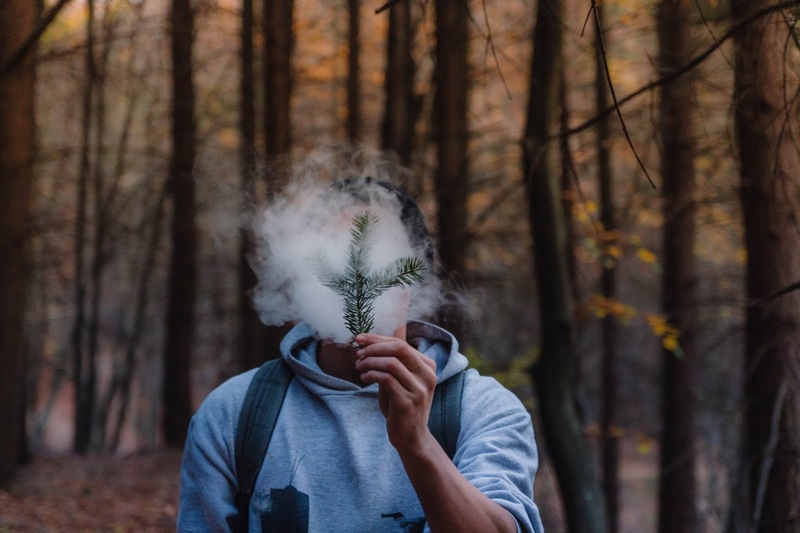 Here are 3 benefits to vaping over smoking cigarettes. Probably the greatest benefit of vaping over smoking cigarettes is the lower health risks that come with using e-cigarettes. With the traditional cigarettes, you have little or no control of the tobacco, nicotine, ammonia, carbon dioxide or lead that you ingest with every puff. Smoking these harmful chemicals is very dangerous as it could lead to lung and mouth cancer, and other cardiovascular diseases. With vaping, you not only have the control of the amount of nicotine you ingest but also e-liquids come in a variety of strengths ranging from 0 to 36 mgs of nicotine. Secondly, typical vape juice contains much less harmful chemicals most of them containing PG, VG and assorted food grade flavors all of which are approved by the FDA. Apart from vaping e-liquids, you can also try vaping essential oils. Certain essential oils such as lavender, peppermint, eucalyptus, and tea tree oils have numerous health benefits which include calming and reducing throat inflammation, managing anxiety and fatigue and also minimizing the risk of respiratory infections. Apart from the health benefits, vaping also gives you the pleasure to enjoy a wide variety of flavors. Generally, traditional cigarettes have only two flavors; menthol and tobacco. With vaping, however, there are several options to choose from depending on your individual taste and preference. Some of the popular flavors include; chocolate, caramel, apple, cherry, menthol, grapefruit, crème and many more. As you enjoy the variety of flavors you also do not need to worry about tobacco breath or residue on your ashtray. When you smoke cigarettes, that nasty smell can linger on your clothes, hands, and mouth for hours. Switch to vaping and say goodbye to that nauseating smell of cigarette smoke forever. Vaping has become more socially acceptable in many places around the world. With vaping, you do not need to step outside the office or the restaurant to enjoy your e-cigarette. E-cigarettes are also easier to pull out, take a puff or two and achieve your desired effect. Traditional cigarettes come with the hassle of lighting and smoking a whole cigarette, plus the fumes coming from your cigarette can be harmful to the ones around you. Vaping is also more cost effective as compared to cigarette smoking. Tobacco products are taxed heavily and these costs are directly transferred to the users. This means that buying a pack of cigarettes every day can be quite costly. Vaping is way cheaper in the long run. Even though the initial costs of buying vaping kits and liquids are higher than those of buying cigarettes, your e- liquids will last for months and the rechargeable vapes are worth every dollar you spend. There you have it; 3 benefits to vaping over smoking cigarettes. Are you looking to make huge savings on your vaping gear this festive season? vaping cheap will show you how. Go to vapingcheap.com today and you save up to 47% on your favorite vaping products. are not so major. This might have been caused by a past trauma or unpleasant experience. as well as put energy into what’s necessary. concentrating to take your mind off your fear and anxiety. a hug from their loved one. This enables you to get back to a relaxed state within a few seconds. exercises like relaxation techniques such as meditation or yoga which can help you. yoga, meditation or go for massages. give up, but try and understand how to calm you. 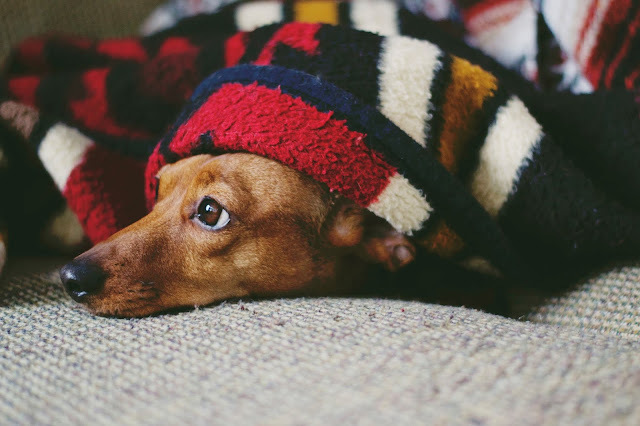 that you can do to overcome anxiety. Hello my lovelies and welcome to my new post! I am happy to share with you today something that we didn't chat about in a while, but I know you love to read about it. As always, while I am searching online for best deals and affordable stores that offer high quality, I find a lot of good stuff. Today I will be sharing with you a new online store I recently discovered that has everything you might need as an online prescription eyeglasses consumer. 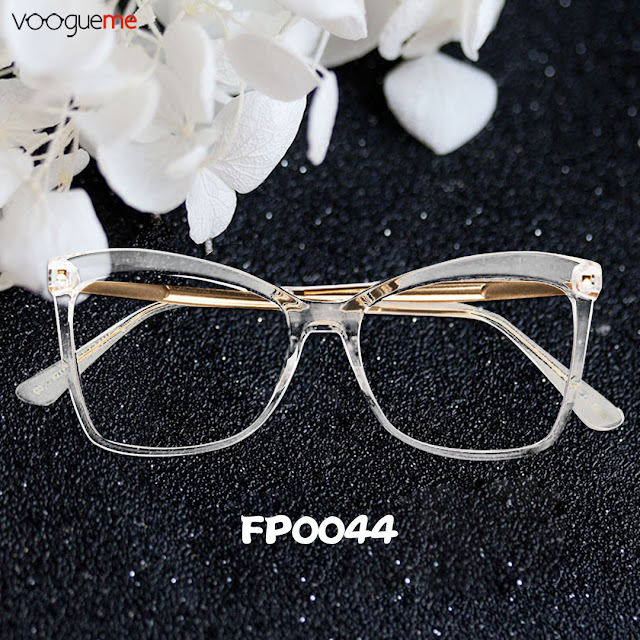 The online store we will be checking out together today is calles Voogueme and it offers a wide range of eyeglasses and frames to worldwide customers. The coolest thing about this store is how easy it is for you to find exactly what you're looking for in it. The eyeglasses are sorted by gender, by type (full framed, semi-rimless and rimless), by material (in case you love your glasses plastic, wooden, metal...) by shape (so many popular shapes such as cat eye glasses for every face!) and by color of course. 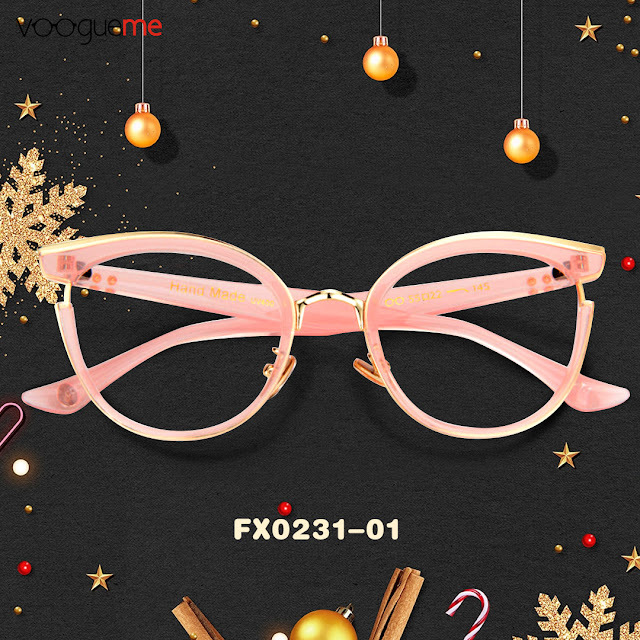 What I am particularly happy to share with you today is that there is a Christmas sale going on as well where you can get all lenses up to 20% off and buy 1 get other frames up to 60% off! Aren't those deals great my lovelies? But beside seasonal promotional activities, you can always check out their special offer 6.95$ for glasses! Make sure to check some of their best sellers and popular designs such as butterfly frames glasses. 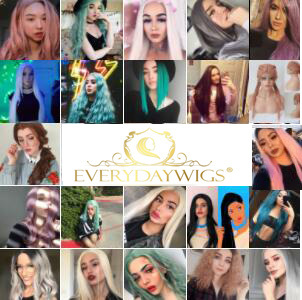 There are so many options you can choose from, I am sure there is something cute for everyone's taste. I picked out a few favorites to share with you in this post, as you can see on the photos. Let me know if you are shopping for eyeglasses and frames online and what are your experiences with this kind of shopping my lovelies! Hello my lovelies and welcome to my new post! So, the other day, when I was supposed to make some pics outside for you guys, I had the worst case of bad weather ever. Rain was falling all day, so I had to give up and go back to my pajamas. Turns out that wasn't such a bad idea afterall. I hope you will enjoy the pics! Do you love staying in your pajamas all day my lovelies? Let me know! Hello my lovelies and welcome to my new post! I am so happy to share with you today something a little different that I believe you fashionistas, baby mamas and future mamas will be very excited about! As you know, while browsing online, I find many interesting online stores with different products that I just love sharing with you. Today we will be checking out a brand new online store with interesting and trendy items and affordable prices for both you and your kids! Isn't that exciting? The online store I recently discovered and that we will be checking out today is called Popreal. 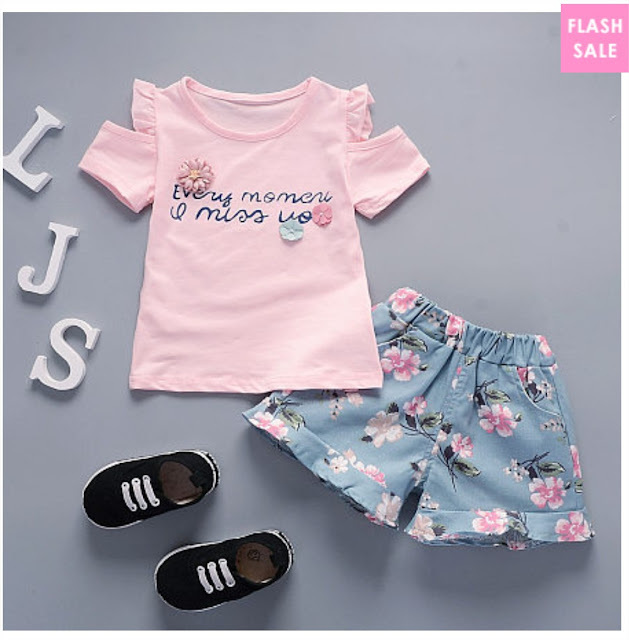 This online shop offers everything for both moms and kids when it comes to clothing and accessories. 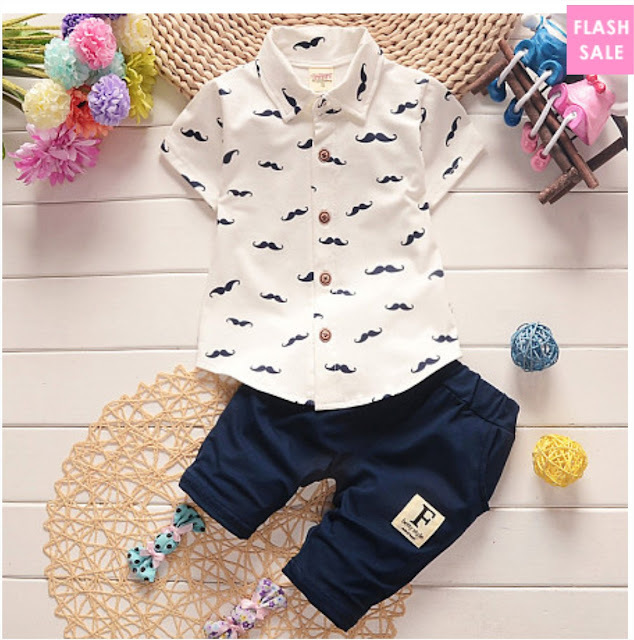 They offer everything from newborn baby girl clothes, clothes for infants and toddlers, also a little bit older kids, as well as for pregnant women and moms who want to stay trendy and look dashing at all times. 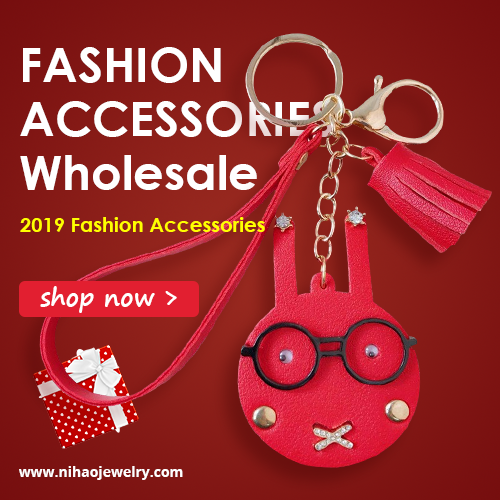 The best part about this store is that you also have different sections that help you save a buck such as 9.9$ flash sale and a section with Christmas items and accessories. What I love the most about this store is that all prices are affordable. I am in love with their matching sets, that is something I always wanted - to wear the same outfit as my baby girl! I picked out some of my favorite items from Popreal to share with you in this post. I hope you will enjoy these cute items such as newborn boy sets and all other products you can check out on their site. 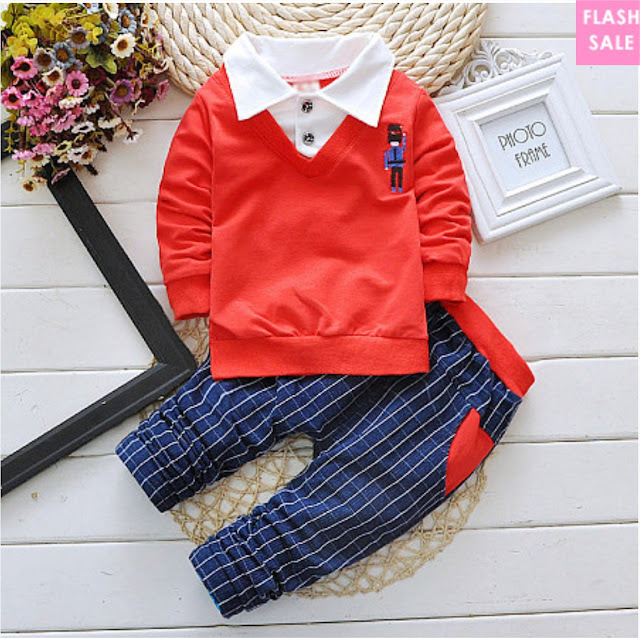 Feel free to let me know what are your favorite items from this site and do you shop for kids clothes online, I would love to hear your thoughts on this topic! Zdravo dragi moji i dobrodošli u novi beauty post! Kao što sam obećala u prethodnoj recenziji u kojoj ste mogli da čitate o Catrice novitetima za jesen i zimu, stigla je i odvojena recenzija Catrice The Glitterizer palete glitera - senki za oči koja je posebno privukla moju pažnju. Pripremite se, polećemo! Catrice The Glitterizer paleta glitera - senki za oči je novitet u Catrice asortimanu. U simpatičnom i efektnom crno-roze pakovanju koje se zatvara na magnet nalaze se 8 senki idealnih za kombinovanje na razne načine. U ovoj paleti možete naći 8 grama proizvoda raspoređenih u trouglaste panove. Paleta je organizovana na sledeći način: na levoj strani se nalaze dve tamne podloge od kojih je jedna više mat i vuče na crnu, dok je druga šimerasta i više vuče na tamno sivu. U sredini palete se nalaze 4 glitter senke, dve nijanse ljubičaste, svetlija nijansa trule višnje i interesantna plavkasto-tirkizna nijansa. Na desnoj strani palete se nalaze sva top-coat-a, jedan srebrni i drugi zlatni. Po predlogu koji se nalazi u paleti, možete koristiti paletu na sledeći način: na tamniju bazu naneti jednu ili više glitter senki iz sredine palete. Nakon toga naneti top-coat tamo gde želite da posvetlite ili naglasite deo kapka. Ukoliko koristite paletu ovako, preporučujem tanak sloj glitter-a pri svakom nanošenju, kako vam se glitter ne bi grupisao na kapku. Ono što se meni najviše dopada jeste mogućnost kombinacija u ovoj paleti. Ako ne ciljate na upečatljivi večernji tamni look, možete umesto tamnih baza koristiti top-coat-e kao svetle baze, a na njih ređati ostale glitter senke onako kako se vama dopada. Takođe je paleta idealna za korišćenje sa drugim mat senkama i dopunu drugih makeup look-ova. Top-coat-i su idealni za naglašavanje unutrašnjeg ugla oka, a glitter senke su fenomenalne za sredinu kapka preko bilo kojih drugih mat senki. Cena ove palete je relativno pristupačna i iznosi negde oko 919 RSD. Ako niste fan kupovine individualnih glitera ili prosto volite da vam sve bude na jednom mestu, ova glitter eyeshadow paleta je stvar za vas. Ukoliko ste probale ovu paletu drage moje molim da mi javite utiske! 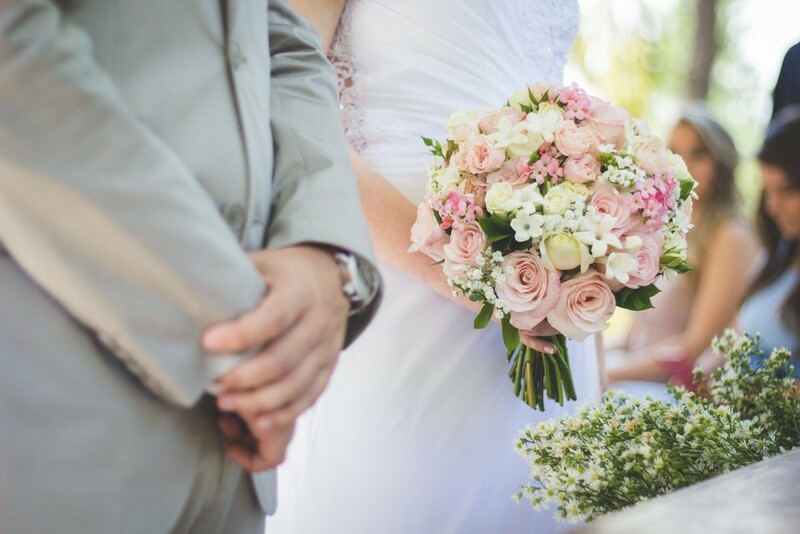 Planning a wedding can be overwhelming, which is why most couples would prefer to hire professionals to help out. But, challenging as it may be, brides who want to plan their own should not be deterred from doing so. With their head and heart in the right place, brides can make their dream wedding come true. 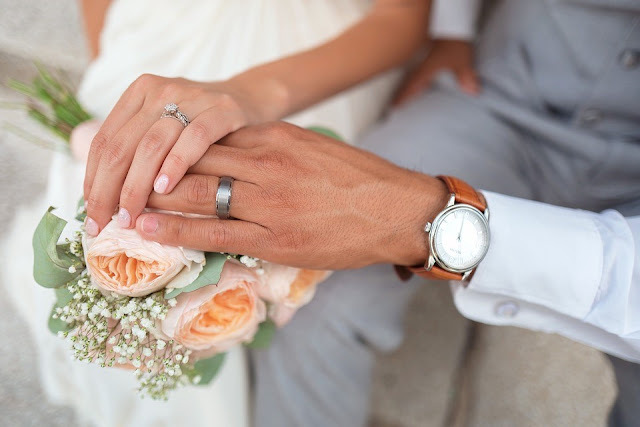 After you have accepted your fiancé’s proposal and are now proudly wearing an engagement ring with fancy colour diamonds you can get from Diamonds.co.nz, it’s time to plan the wedding. Whether you will have a short-term or long-term engagement, planning for the eventual wedding is the next step. And the best place to start with is by determining the budget, which is the driving factor for majority of wedding-related decisions. Are you footing the bill? If so, how much can you spend for the big day without cleaning out your life’s savings? Do family members intend on contributing financially? Who else will be sharing the costs? What are these generous amounts? Once you’ve set the magic number for your wedding budget, you have to stick to it. If you find that you have a limited budget, do not be discouraged as you can still achieve your dream wedding by focusing on more important details and prioritizing chosen expenditures while compromising on the rest. If you get more funds along the way, consider these as contingency resources in case something does not go as planned. With the budget already in place, you and your significant other can now get started with the details. 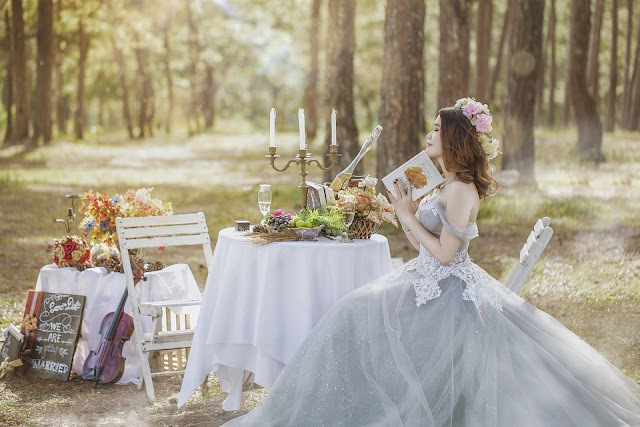 Some ladies already have clear ideas of what their big day will look like even at a young age but for those who have yet to decide what their wedding will be, then it’s time to get inspired. Immerse yourself in bridal magazines and websites to find a bridal theme that you would love to have when you exchange “I do’s.” You can also borrow ideas from weddings you’ve previously attended that you find endearing and fits your chosen theme. The key to planning successful events is organization. So, when you plan your own dream wedding, make sure you stay on top of everything to avoid getting overwhelmed and missing out on certain details. For starters, create a vision board to keep you inspired and to keep the details consistent with what you aim to achieve. You can have a wedding-related mood board on Pinterest or you can go old school and create a “cut and paste” vision board. You can also make use of free wedding planning apps to help you through your planning. Choose an app that you are comfortable working with to monitor the progress of your plans. If you are more comfortable with spreadsheets and handwritten journals, then you can also use these to manage all the information you have. 4. Plan with your groom. The reason that wedding planning becomes overwhelming and frustrating is because some brides tend to work on the task alone. You’re not the only one getting married, so make sure your partner is involved in the process of making your dream wedding come true. Not only will the task of deciding become easier and faster, but planning together will also be beneficial to your relationship. It’s a fun way to get to know each other better as well as show each other how committed you both are to a shared future.